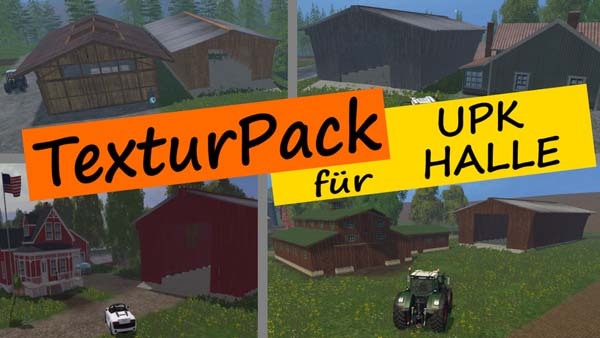 Farming simulator 2013 mods, Euro Truck Simulator 2 mods. Hello, you have here made ? ?a texture pack for the drive-through hall of EngeldesHasses, as the hall with parking the machine is a sensible thing! and present to you here the texture available! Thanks to Engeldes hatred for the permission of the textures pack. Included are 6 different textures of the hall and also matching store images! Concrete and roof texture changed. There are already many maps and I hope it is a suitable texture for you here. Simply the texture you want to rename in the orginal name and paste the mod! So everybody can choose the texture he wants!